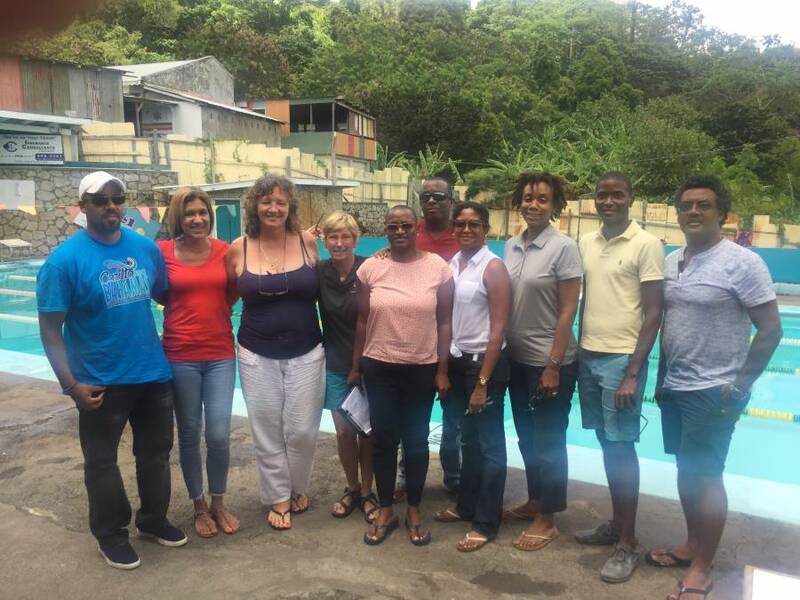 The Grenada Amateur Swimming Association (GASA) held its Annual General Meeting on Saturday, 20 May 2017. With the exception of longstanding GASA Executive member Diana Hopkin, who was re-elected as Treasurer, a completely new team was elected and charged to manage the organisation’s affairs for the next 2-year term. Immediate Past President Ollivierre expressed extreme gratitude to his outgoing executive for their unwavering support and dedication to the swimming fraternity during their term. Ollivierre shared in his report the progress made by his Executive Team to keep GASA afloat through very difficult times. The immediate priority would be to continue the plans already in progress to ensure the smooth operation of the upcoming GASA Powerade National Champs Swim Meet scheduled for 26 to 28 May at the Good Hope Swimming Pool at Good Hope, St Paul’s. The competition commences Friday at 5:30 pm on and continues with the official opening ceremony on Saturday 27 May at 9:30 am. Following this, the newly elected GASA Executive will set out the Goals and Objectives for their new term through a consultative strategic planning process. The new executive intends to work closely with the government as well as all other stakeholders for the advancement of swimming in Grenada in a multi-dimensional manner, which will bring tremendous benefits to the country through the forming of strategic linkages.